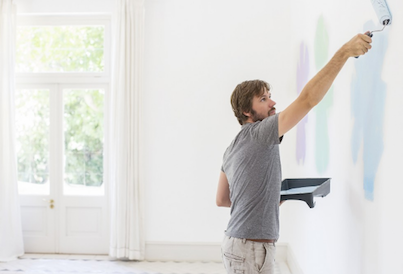 Heyl Group real estate agents were asked which home projects they suggest for homeowners who are considering selling their homes in the near future and want to add value. Here are the 10 projects they mentioned most frequently. Painting was the project mentioned most frequently by Heyl Group agents. One Heyl Group agent remarked “First impressions matter, in life and in homes sales. Making sure that your home has a great appeal is essential in making a good first impression.” A freshly painted front door and entryway makes a great welcoming statement for the home, and a coat of paint in a soothing color can refresh any interior space. Most of the time you can give your cabinets a new look/feel by simply adding hardware (handles) to each door. 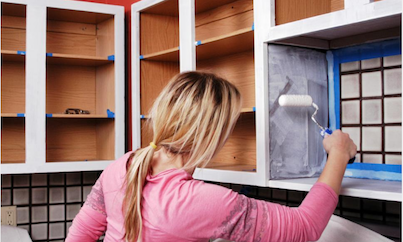 If your cabinets need more than new hardware, you could consider painting them. Although that is a bit of a bigger project, if done right, your kitchen will look brand new and add value to your home. Most hardware stores sell backsplashes for a relatively cheap price. They usually come in kits that are easy for you to install. 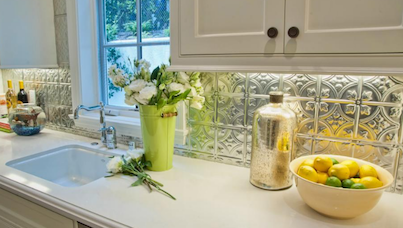 When picking the right backsplash you want to make sure it goes with the look and feel of the home and that it isn’t too flashy. Just as new fixtures can bring a home into the present, updated hardware can create a modern look for a small investment. Agents frequently suggest updating hardware in the kitchen and bathroom. Another suggestion is landscaping your backyard to highlight its size and dimensions. Cut down on any overgrown bushes and just plant a lawn with a border of small neutral flowers around the perimeter of the backyard. Minor projects like adding a little bark for ground cover is an inexpensive way to make a yard look taken care of. Realtors advise homeowners to service all systems in the home before putting it up for sale. 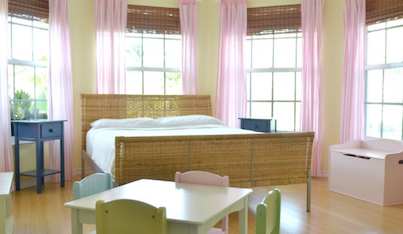 This is a great way to show any potential buyers that you’ve taken good care of your home. Having clean appliances shows prospective buyers a home is well cared for. When you decide to sell, do a thorough cleaning of any appliances. Agent advise homeowners to make rooms seem bigger by getting rid of belongings, and to remove as much as possible off of flat spaces: countertops, vanities, the top of the refrigerator, shelves, etc. Anything reaching to the ceiling makes the room feel smaller. Heyl Group Agents said a new front door or garage door can be a great feature to replace/update and that it is something that most people don’t think of when trying to get a good return on investment. Investing in a new front door or painting your old one can dramatically change the look of your home and enhance curb appeal. Several Heyl Group agents advised homeowners to install dual pane windows. “If you have the extra money for this, they are very attractive and people really find value in them,” she says.